Having brewed, kept and distributed premium ales since 1845, there’s not too much we don’t know about great beer-keeping - and when you trade with Fuller’s, you’ll tap into all that expertise. 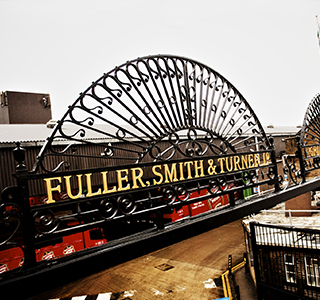 Our cellar services team is on hand to all pubs and bars buying their beer from Fuller’s. The team provides installation services to bring your cellar up to the most modern standards, and also offers a long-term support service to maintain your equipment and deal with any ale emergencies. From mending a dripping tap to fixing a broken cooler or even attending to a gas leak, the team provides a fast and reliable service to ensure you’re back serving brilliant beer in next to no time. There’s even an out of hours service available, with emergency calls always dealt with within 24 hours. 2,000 pubs are already taking advantage of the service, which is known as one of the best in the business. We’ve even had pubs try to call our team out to fix other brewery’s equipment – just because they know we’ll respond first. It’s our way of helping you serve our beers at their best – which gives us, and you, a shared reputation for quality.